Laundry never stops, so if we’re going to have to take care of it I like to encourage ways to make it a lot less onerous. Read on to find ways you might even find yourself enjoying it! 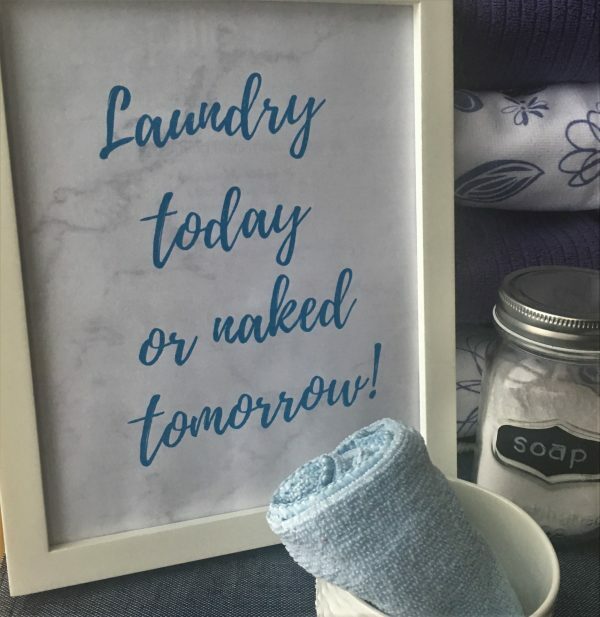 As a productivity coach, my mission is to help people have more fun while getting things done, and laundry is no exception. In my holistic model for sustainable performance, Productivity CPR™, the R stands for Ritual. Why ritual? Because I think the word ritual can give a sense of honour to what can often be perceived as mundane. Another way to make garment care a more positive endeavour is to think of all the work that went into sourcing, making, shipping and selling the piece so that you can enjoy it. Taking care of it is part of the garment’s life until it can be passed on or recycled. You may have seen Marie Kondo’s show “Tidying Up”, and observed how she treats spaces, people and things with respect. I noticed this reverence while living in Tokyo for almost three years. We may have different ways of expressing honour, but it’s a truly beautiful way to engage with the world. I grew up witnessing a similar approach in the way my father managed his things. They were well-cared for and treated with love. 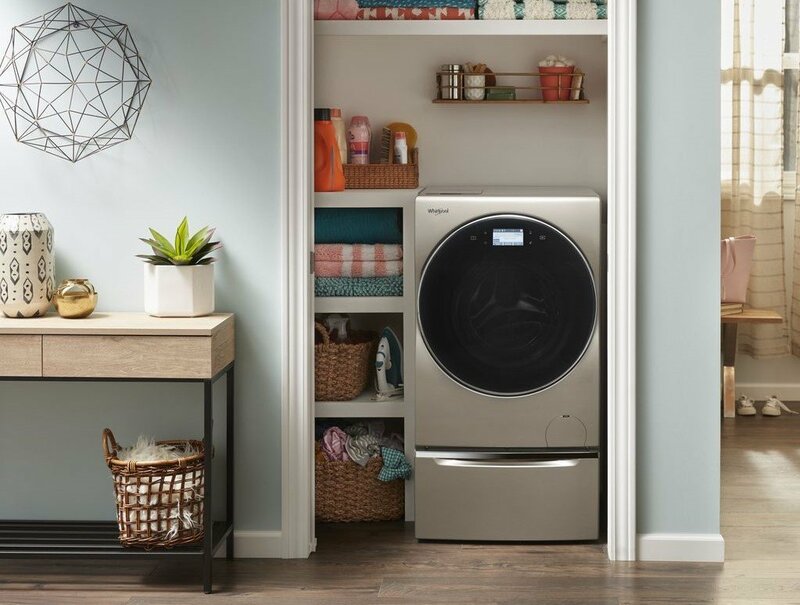 If space is tight, in a spot only 24” wide, you can install the ventless, Smart All-In-One Washer and Dryer from Whirlpool which as it sounds includes both the washer and the dryer in one machine! I live in a condo and would really love to have both appliances in one machine to free up hanging space for the clothes I choose to air dry. Both the machine and a hanging rack could then be kept in my laundry closet keeping them out of sight rather than lingering in the bathroom. We can’t deny laundry exists – it deserves a good home! 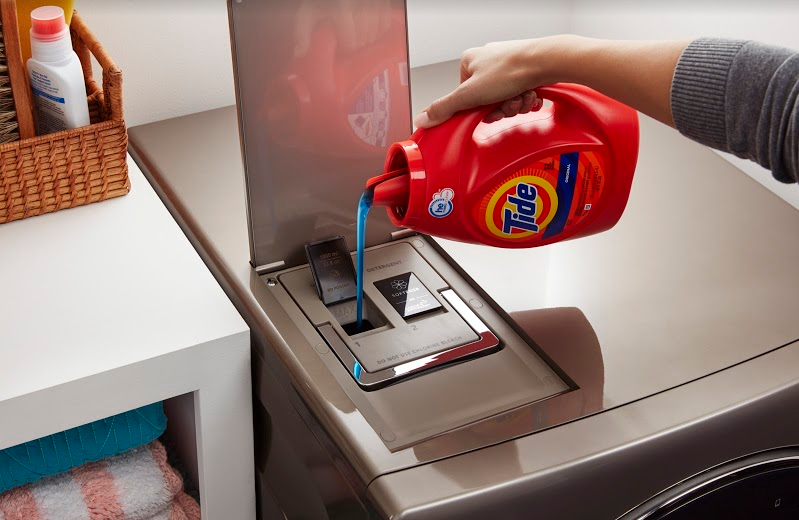 Not only do you no longer have to worry about switching clothes from the washer to the dryer, the Smart All-In-One Washer and Dryer also saves you time with its super capacity dispenser which holds up to 20 loads worth of laundry detergent. This will make it even easier for anyone in your home to do the laundry. Without having to manage a heavy detergent bottle, you can now get the kids to pitch in. To save money on electricity, it can make sense to do laundry when electricity rates are at their lowest. Have you ever thought about that and intended to turn on the machine yet forgotten? With remote access, you no longer have to worry about being home. Your washer and dryer has just joined the internet of things. The “Smart” in the name of the All-In-One Washer and Dryer means you can access the machine from an app on your phone. You can start a load while waiting for your daughter to hit the ice at hockey practice, or run the dryer when you’ve gone to work and your house guests let you know they are awake. Make sure you an easy way to gather laundry anywhere it collects. Bedrooms or a shared bathroom are ideal spots and there are a variety of sizes and shapes to fit any space. A corner unit is fun in a kid’s room if you want to make tossing laundry in the hamper a fun way to get kids involved in the process. Hampers now come in a wide range of finishes as well so you can find something to blend in with your décor. The handles on the hamper shown above make it easier to carry. 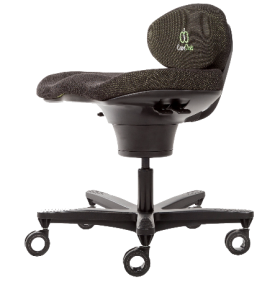 The Time Timer® helps you have a visual sense of the time available to complete a task. I searched twitter for “laundry” and “stress” and there were so many posts about people sleeping with their laundry instead of folding it, it blew me away. There is a lot of angst out there. With things we don’t like to do, it is common to overestimate the time it takes. A timer is your friend here. 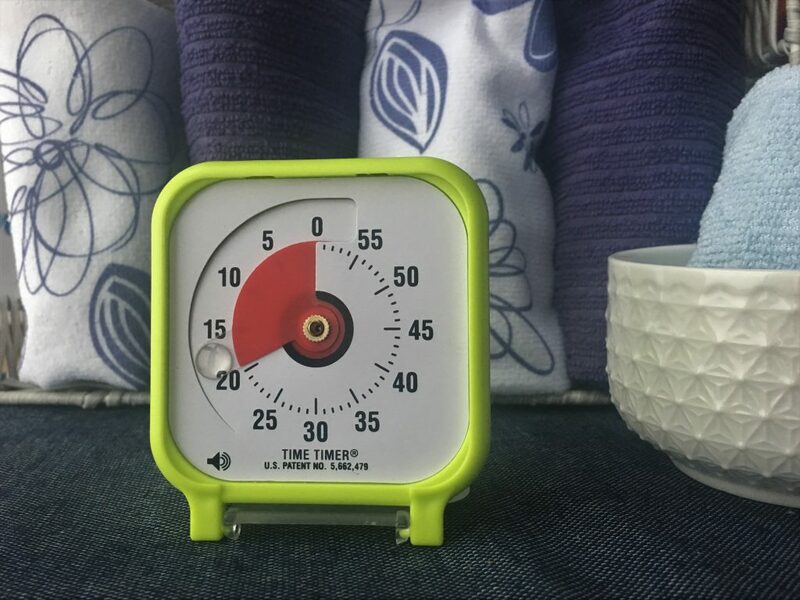 Step 2 – Keep a Time Timer in your laundry room and now you know roughly how long it takes to fold a basket, see how fast you can get it done and play beat the clock. Gamifying works! Why not include getting all the clothes back in closets and drawers? This is an awesome thing to do with the whole family. It’s never too early to get everyone involved. We know that rewards work, so consider being kinder to yourself when doing the laundry. 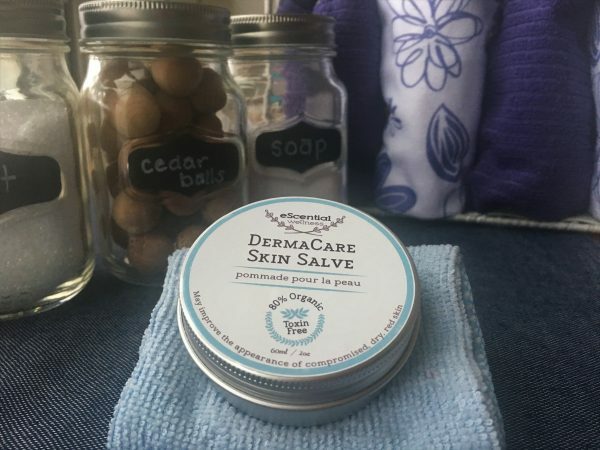 If you’re like me, in the winter months, your skin is dry. One day, the skin on my fingers was so dry and it kept catching on the inside-out clothes I was turning outside-out (is that a word? ), and I decided from that day forward, I would never turn inside-out clothes the right way around again. A little “garbage in, garbage out” theory so my kids would have to solve the problem on their own. I hope this gives you a few ideas on how to make laundry a little lighter in your household! This post was made possible through financial and/or product contributions from Whirlpool Canada, Neatfreak, eScential Wellness and Time Timer.